Brand NEW build! 2100 square foot Gemini Home. 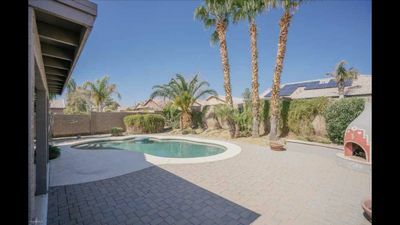 3 bdr, 2.5 bath with views! 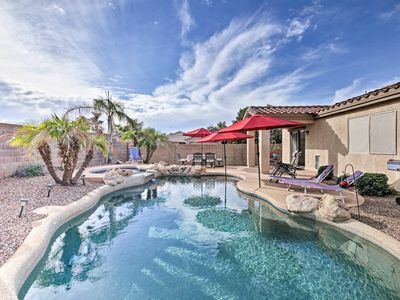 Leave the city's hustle and bustle behind for a relaxing stay at this Fountain Hills vacation rental for 6! 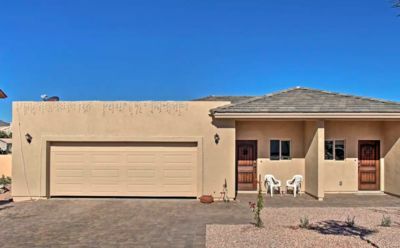 Nestled outside of the Tonto National Forest, this 3-bed, 2.5-bath Gemini home features mountain views from its private balcony, complete with a gas grill. Inside, you'll find all of the comforts of home, which are more than welcomed after a day of golfing, hiking, or rafting. 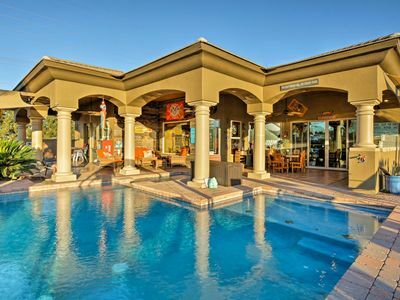 The property sits just minutes from Fort McDowell Casino and Saguaro Lake and within a 35 minutes or less of Scottsdale and Phoenix. There's no reason you shouldn't feel at home while on vacation! 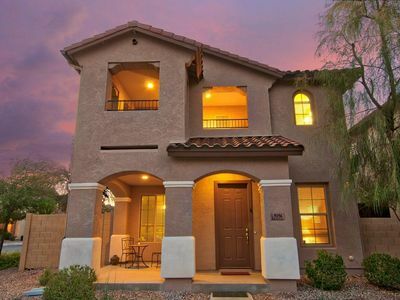 Thanks to this well-appointed Gemini home, you'll feel just that as you enjoy the best of Fountain Hills, located minutes from your front door. 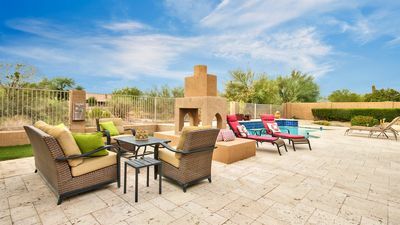 When you're not playing golf or the slots of Fort McDowell Casino, relax in the vacation rental's 2,100-square-foot interior, complete with central air conditioning, free WiFi, and in-unit laundry machines. Keep up with your favorite shows on the living room's flat-screen TV! Growing hungry? 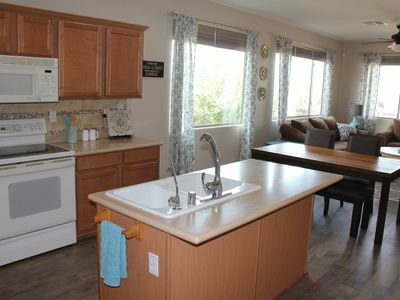 Whip up a homemade feast in the fully equipped kitchen. Stainless steel appliances are perfectly complemented by granite countertops - both guaranteed to make your culinary experience effortless. For a truly hearty feast, fire up the gas grill on the balcony! Speaking of the balcony, it's the perfect place to begin and end your day! You'll never grow tired of the mountain and valley views. 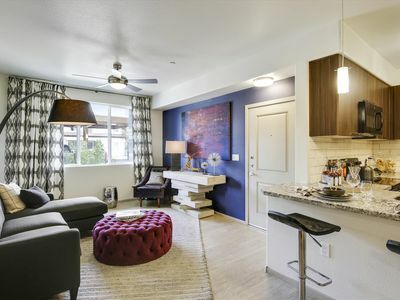 One of the bedrooms offers direct access to it, while the other 2 feature private patio access! 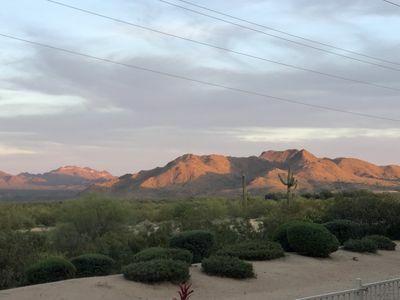 But no matter where you sleep, you'll surely wake well-rested and ready for another day in Arizona. 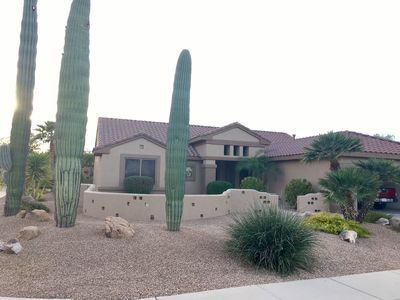 Easily get to know beautiful Fountain Hills from this ideally located Gemini home! 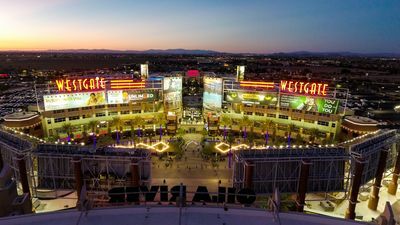 Downtown's shops and restaurants are less than a mile away, while the country's largest fountain can be found at Fountain Park, not much farther. Enjoy a leisurely walk around the fountain as the kids entertain themselves in the splash park. You might even test your frisbee skills on the 18-hole disc golf course! Prefer real golf over disc golf? Well, you're in luck! 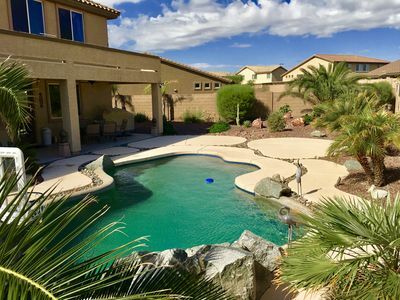 There are numerous golf courses within a short drive of the townhome, including Eagle Mountain Golf Club and Desert Canyon Golf Club. If you're visiting to spectate rather than play, you'll find TPC Scottsdale only 14 miles away - where the Waste Management Phoenix Open occurs annually. 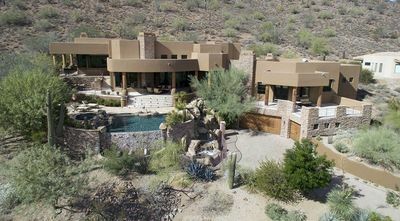 For more rugged outdoor adventures, check out McDowell Mountain Regional Park, found just minutes north of the property. Hiking, horseback riding, and hunting are just a few of the activity options in this scenic destination. Escape the summer heat on Salt River with a whitewater rafting or tubing trip with companies such as Arizona River Runners! 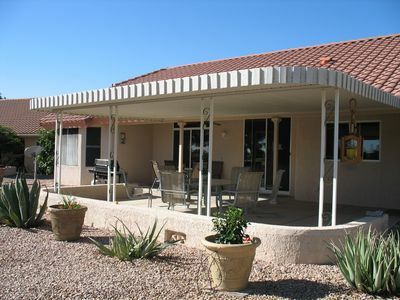 Additional hot spots include the Phoenix Zoo, OdySea Aquarium, Desert Botanical Gardens, and Fort McDowell Casino! Old Town Scottsdale, along with downtown Phoenix, also offer plenty to do with both featuring great restaurants, excellent nightlife, and ample shopping options! 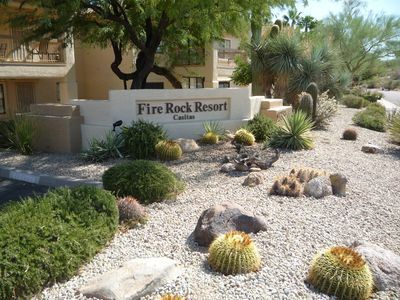 - Scenic Fountain Hills location - roughly 3 miles from Fountain Park, 6 miles to Fort McDowell Casino and McDowell Mountain Regional Park, 13 miles to OdySea Aquarium, 20 miles to Old Town Scottsdale, 24.5 miles to Salt River Tubing, 32 miles to downtown Phoenix, and near great restaurants, golf courses, and shops! 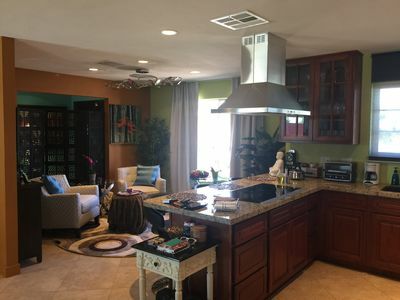 - If you're traveling with more than 8 guests, check the availability of the other side of this Gemini Home, a 4-bed, 2.5-bath vacation rental that sleeps 10 just next door, just send us an inquiry. 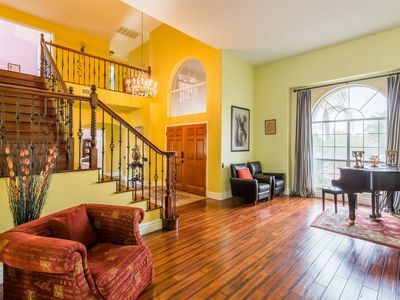 This property sleeps 6 in beds and a Queen Air mattress is available upon request for the additional 2 guests. 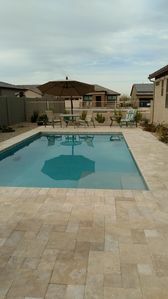 The other side sleeps 8 in beds and a Queen Air mattress is available upon request for the additional 2 guests.